Always a popular choice for a family outing, the Camden Waterfront is poised to blow family fun out of the water for the summer of 2019. Take a look at what’s on the line in Camden and make your plans with these ideas from New Jersey Travel & Tourism. 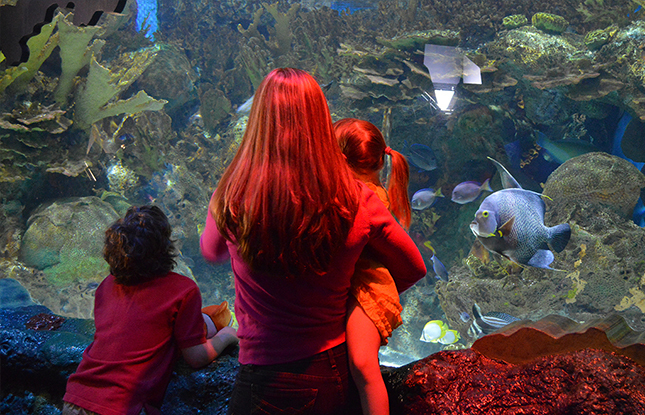 The Camden Waterfront features a breezy array of attractions, but let’s start with the big fish in the pond: Adventure Aquarium. Now the third largest aquarium on the East Coast, Adventure Aquarium is upping its underwater game with more sharks, penguins and hippos. What’s more, admission to the Aquarium’s 3D Theater is now included in general admission. During your visit, meet adorable African penguins at Penguin Park. Take a walk on Shark Bridge, if you dare, and be just inches away from sand tiger, sandbar and nurse sharks. (Fun fact: this unique v-shaped rope suspension bridge is the longest of its kind in the world.) And before you leave, wish the “girls” (hippos Button and Genny) sweet dreams and help the biologists with their bedtime. Carved from the urban waterfront, the Camden Children’s Garden is a hidden gem. Featuring a tree house, fitness garden, butterfly house and a host of gentle rides, the four-acre horticultural playground is ideal for younger children. Not on the Waterfront—but certainly a surprise—is Donkey’s Place, where you may decide that the world’s cheesesteak capital is Camden, not Philly! Taste for yourself why this cheeky third-generation eatery is featured on New Jersey’s Anthony Bourdain Food Trail and possesses keys to the city of Camden. Satisfy a wide variety of musical tastes at BB&T Pavilion's outdoor stage as you take in Delaware River and Philly skyline views. Coming this summer: Phish (June 28-30), Korn and Alice in Chains (August 3), Rascal Flatts (August 23) and much more. Celebrate the Fourth of July with food, music, family fun and fireworks at the 2019 Freedom Festival at Wiggins Waterfront Park. And catch Hozier, Elvis Costello and Blondie at summer’s signature music event, the XPoNential Music Festival, held July 26-28 at BB&T Pavilion and Wiggins Park. If you’re making the Camden Waterfront your destination for the day, save some money with the “Fish and Ship Combo,” which includes admission to both Adventure Aquarium and the Battleship New Jersey. And start your week on the right note with the Sunset Jazz Series at the Wiggins Park Riverstage. Starting Monday, June 10 and going through August 19, these free concerts offer a powerhouse lineup for 2019, including trombone virtuoso Jeff Bradshaw, Grammy Award-winning trumpeter and flugelhornist Randy Brecker, and Stephen “Ragga” Marley, son of reggae legend Bob Marley. In New Jersey, every new day brings a brand-new destination…like the Camden Waterfront! 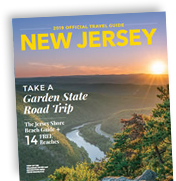 Check out more things to do and see, as well as places to stay, at visitnj.org, where you can also download a free travel guide or sign up for e-news from New Jersey Travel & Tourism.